Shayna Smith is the Deputy Public Guardian at the Office of the Public Guardian. Shayna takes a lead role in the agency to deliver services protecting the human rights of vulnerable people. Shayna supports the Public Guardian in protecting adults with impaired decision-making capacity from neglect, exploitation and abuse, assisting children in the child protection system to be heard and participate in decisions that affect them, and providing community visiting programs for both adults and children who reside in accommodation listed in the Public Guardian Act 2014. Shayna manages and is responsible for the organisational performance of three program areas: Guardianship, Legal Services/Investigations, and Policy and Reporting, in addition to supporting the Public Guardian in leading the Office of the Public Guardian with over 300 staff, including a remote workforce of community visitors and administering a $25 million budget. 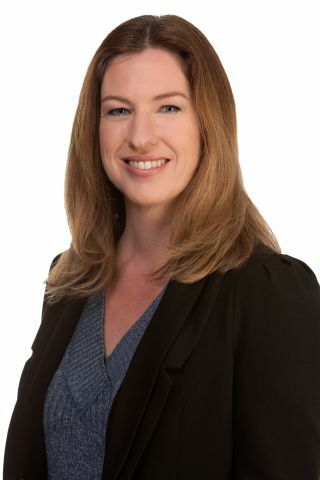 Shayna is a senior government lawyer and prior to joining the Office of the Public Guardian in 2015, Shayna worked across the fair trading, liquor, education and justice portfolios in policy and legislation for over 14 years, with a strong focus on consumer protection. Shayna’s previous professional experience was in the private legal sector, practising predominantly in the property, commercial litigation and criminal injury compensation sectors, both in Brisbane and Belfast, Northern Ireland. Shayna holds a Bachelor of Laws and Bachelor of Arts from the University of Queensland. She is an admitted solicitor to both the Supreme Court of Queensland and the High Court of Australia and is a member of the Queensland Law Society Health and Disability Law Committee.